Note: While review will be spoiler free, it does make reference to previous books. If you haven’t started this series yet, check out VBC’s review of book 1, Trailer Park Fae. When we last saw Robin Ragged, former servant of the Summer Queen, she had killed her father Puck—or at least thought she had—and left her protector Jeremiah Gallow, Summer’s former armormaster, recovering from poison in the trailer he once shared with her dead sister. 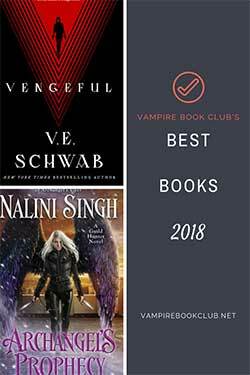 Now she’s on the run from both Summer and Unwinter, who want revenge for the destruction she and Gallow wrought in the battle at the end of Trailer Park Fae. And when they realize that the cure for the plague she delivered them is fake, they’ll want her for that as well. When Gallow wakes to find her gone, he also sets out in pursuit of Robin, wanting to protect her from the others who hunt her. One of those is his childhood friend Crenn, sent by Summer to bring Robin back alive and unharmed. Gallow, meanwhile, is pursued by the Wild Hunt as Unwinter seeks a resolution to that same battle. 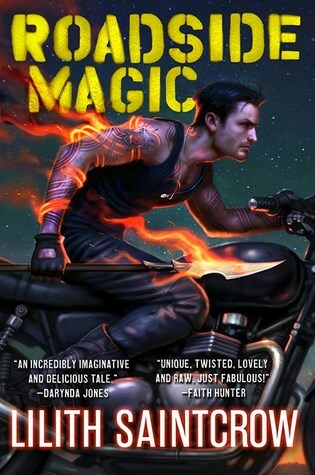 Just by summarizing the plot, I’ve realized my biggest issue with Roadside Magic—it just doesn’t stand on its own. In order to explain why Gallow and Ragged are being hunted, I had to re-read part of the first book. The ending is very much a ‘To Be Continued’ as well. And the cure for the plague, which Robin recovered from Puck, just doesn’t come up much. 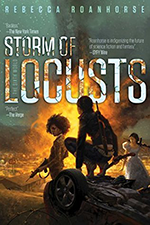 That said, I did enjoy the action-adventure aspect of the book. Gallow and Crenn are both expert fighters, which made for exciting battle scenes. They also visit some fun new Fae locations like a goblin market and the dwarves’ underground lair. But I felt like the action didn’t really get started until Gallow and Ragged are reunited, which is almost halfway through the book. I also felt like Roadside Magic was easier to read than Trailer Park Fae. The language is more modern, though it’s still highly stylized, as Lilith Saintcrow’s writing usually is. It’s also more consistent throughout the book—the technique from book one of using the language style to indicate the character’s Fae-ness seems to have been abandoned. I actually liked that device, but maybe I was in the minority there. If you read and enjoyed Trailer Park Fae, then you’ll definitely want to give Roadside Magic a try. If you haven’t, I don’t think this is the place to start.